Like many Sonic fans, we were excited when we first heard news of Sonic Lost World. Hurt so many times in the past, however, we were apprehensive. The similarities between Lost World and what we’ve seen and heard of the lost Sonic title for the Saturn, Sonic X-treme, gave us some hope. Now that the game has been out for a month and we’ve all had time to play it, we went to Christian Senn (better known as Chris Senn), the video game designer whose name is most often connected with Sonic X-treme. I’m partial to Senn’s Space Queen music, but I guess this will do. 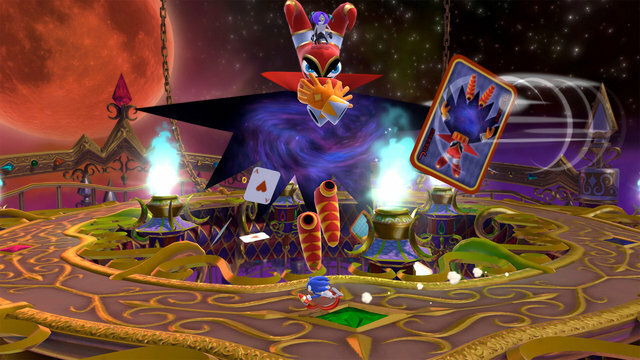 Some argue that Lost World not only looks similar to what X-treme could have been like, but that some of those same similarities were pointed out between X-treme and 2007’s Super Mario Galaxy. X-treme would have seen Sonic in a 3D world for the first time, but now 3D characters and worlds are commonplace. Lost World is a fun game to play, if not a little difficult at times. While it has received mixed reviews, I’d say that it broke out of the Sonic Cycle. It even nods to various earlier titles in the series. For instance, zones in Frozen Factory features both sludge from Chemical Zone and a nut on a screw that Sonic runs on to twist just like in Metropolis Zone all from Sonic 2. The game incorporates some NiGHTS action in The Deadly Six Bonus Edition where we encounter re-skinned versions of the first fights with the Deadly Six battles using Nightmaren Bosses. We’re not the only ones passionate about X-treme—a fan project called Project AXSX that Senn has been consulting on is looking spectacular. But enough of me. Let’s read what Christian Senn had to say about it. Pop Rewind: How have you been enjoying Sonic Lost World so far? Christian Senn: In my limited free time I’ve very much enjoyed Sonic Lost World. It brings a breath of fresh air and charm to the brand I hold dear to my heart. I love the art style, some of the more imaginative gameplay and sequences within it, and the inclusion of more organic characters. The change in the brand’s direction for this game was very risky, and I appreciate the results very much. PR: As I’m playing through Sonic Lost World, I’m wondering if this is what Sonic X-treme could have been like. What are your thoughts on this? 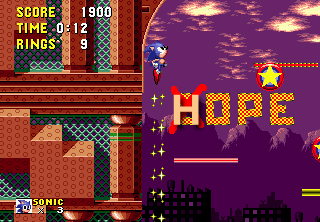 Senn: Although rotating the world is reminiscent of Sonic X-treme’s hook, other games even before X-treme utilized rotation of the world in their gameplay. If Sonic X-treme had been finished and released to market, it’s hard to say what it would have become, and harder still to predict what sort of impact it may have had on the market and industry. PR: Do you find similarities in the storyline with that of X-treme? Wow, Sega even gave the Pico a shoutout in their E3 video?! PR: What do you think of the comparisons being made between X-treme and Lost World? Senn: I can understand people noticing similarities (and wanting those similarities to mean something). If you examine closely enough, one can find things similar between almost anything. Hey… I have two arms, two eyes, and two ears… that’s six total things… am I the Deadly Six, too? PR: Lost World’s Executive Producer Takashi Iizuka was quoted as saying that Sonic Lost World came out too much like Super Mario Galaxy and that no one else on the team was even aware of X-treme. Do you think this is the case? Senn: Though it’s possible someone on the Sonic Team might have been aware of Sonic X-treme, it’s clear Iizuka-san was not. Regardless, when Super Mario Galaxy came out, there were people who noticed similarities between it and Sonic X-treme. The bottom line is that both Super Mario Galaxy and Sonic Lost World are commercially released products, unlike Sonic X-treme which will forever remain a “what if”. In the end, what was actually finished and brought to market is what we can play and really evaluate. NiGHTS and Sonic, together once again. PR: With Yuji Naka angry that X-treme tried to use the NiGHTS engine, or something similar to the NiGHTS engine, what do you think of NiGHTS being incorporated into Lost World, as in the inclusion of NiGHTS and the Nightmarens in the Deadly Six Bonus Edition? Senn: I only heard that Naka-san was adamant about keeping the NiGHTS engine private. I also recall a rumor that the NiGHTS engine was shared with the STI crew. I’m not sure if Naka-san was asked, but if this rumor were true and he said “no”, and then the engine was shared anyway… I would completely understand being angry! But, all of this is speculation only. As to the Nightmaren content in Lost World? I think that’s great! Nodding to previous materials is always a bonus for fans, so I’m all for it! PR: What is your favorite Sonic game of all time? Senn: Sonic 1. It blended speed and platforming with adventure and boss fights in a way I’d never seen or played before. Though it was not as polished as, say, Sonic 3, Sonic 1 will forever be my favorite and my “first Sonic experience”. PR: Can you tell me a bit about Project AXSX and your role with the X-treme fan game? Senn: In 2006, two members of the Senntient.com forums, Andrew75 and Xeniczone, worked tirelessly on a recreation of Sonic X-treme in Game Maker. After four years, Xeniczone needed to move on, and Andrew75 carried the project forward. His love for Sonic X-treme translated into undying dedication to recreate the experience that never made it to market. It is 2013 and Andrew75 is still working on it, and has recruited various people to assist him along the way. I’ve provided some consultation through my forums to encourage Andrew75 and inform as best I could, and together with materials shared, that’s the extent of my “involvement”. I wish Andrew75 the best of luck in completing what is already a 7 year journey. Finishing will be an AMAZING experience, for us all, I’m sure! Senn: On a related note, I’ve been amazed at the ongoing interest in Sonic X-treme. Now, 17 years later, people still inquire about it. Quite a few people have worked hard to make their own interpretations of Sonic X-treme as well. With varying degrees of completion and success, I’ve really enjoyed seeing their development (and playing them whenever I have time). Building something like this is a great way to get one’s foot into the industry door. 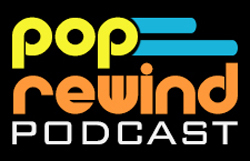 Special thanks to Christian Senn for taking the time to chat with us! You can visit him online at Senntient.com and check out Project AXSX here. What do you think? Have you played Sonic Lost World yet? Leave us a comment!